A Touch of Sin is an anomaly for Jia Zhangke. Or at least it feels like it. Known for his unique melding of documentary and fiction, observing China's transformation with critical eye and nostalgia, here he bases the film on four different recent news flashes. First half tells gritty, violent, senseless killing sprees, the second half turns a little giddy in its style with dramatic shifts. The fact that they are based on real events adds another layer to this sprawling, ambitious film. Interesting to note that Jia's version of real life events veers dangerously toward glossy fiction. I had a privilege of talking to him on the phone while he was in town for this year's New York Film Festival. Twitch: First of all, congratulations on winning the best screenplay at this year's Cannes film festival. That said, knowing your documentary work and your documentary style, I am wondering how much of the dialog is actually written and how much of it was improvised. 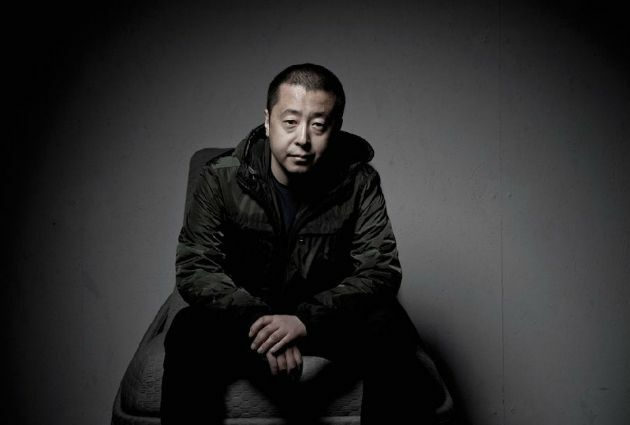 Jia Zhangke: On the script level, everything was very detailed including the dialog and lines for each character. Actually there are two different, distinct states that were shot within because the characters portray two different states. The first one is this very natural, sort of quotidian, relaxed state. When I approached writing this aspect of the script, the dialog was more loosely written and I left some room for improvisation. But the other, the opposite end, there are very dramatic scenes in the film. For those scenes I needed the actors to stick to the script so they could prepare for the scenes. So I required them to stick very closely to the dialog that was written on the script. Your films always have been reflections of rapidly changing Chinese society, but never really this explicit about death and violence. I wonder what made you to concentrate on that aspect in this film. Because the violence is an issue in social reality in China that has been accumulating in the past 2-3 years in particular. I digest them via the social media- from microblogs and weibo(Chinese version of Twitter). I noticed that these events are very widely discussed and I wanted to portray this in my film. The scope of your film has been getting bigger over the years. You were making films in Shanxi, your hometown, then you moved on to other cities- Chengdu, Beijing, Chunquing, then this film takes place in 4 different corners of china with 4 different stories. Is this your biggest production yet? Yes. It was definitely the biggest and the most challenging one. The geography required us to travel four different locations. We were arranging things in a countryside separated by thousands of kilometers. We kind of joked that we indeed made four different films in one. For instance, casting we had to do four times, scouting locations, four times, and so on and so forth. It was also an expression of the theme of migration in wuxia films. The theme that characters are always roaming around the country...peripatetic you could say. You can also notice it in traditional Chinese paintings that the landscape also conveys sense of movement. So there was an emphasis on landscape in this film. Considering the scope of the film did it take longer to make than usual? The entire production we spent about half a year and the principal photography was about three months. The fantasy aspect of the film doesn't come out until Hubei story with Zhao Tao where things take interesting turns in terms of mood and rhythm. Was there a specific method on which order the film was going to play out? 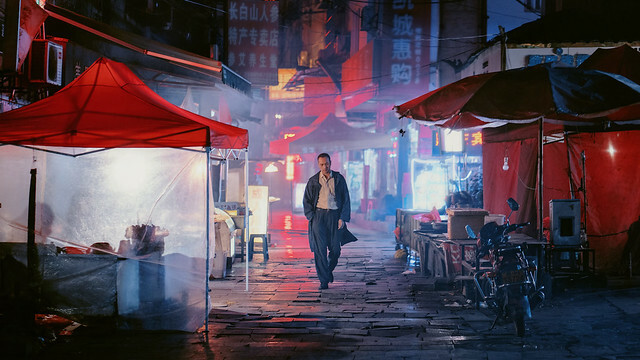 The integral structure of the film rested upon two notable considerations: One is temporal - I structured the film temporally around the Chinese New Year. The first segment occurs during the lead up to the New Year where people are migrating. Second part happens during the New Year. The third part occurs after, where everyone travels back to work and the last part is after that. It's the time of the year when this mass migration happens in Chinese society. Also the other consideration was that of geography - going from north to south. Four stories together formed a throughway in Chinese geography. Along with the progression of geography, there is also the progression of drama. For instance, the emotional quality in each event filled with more intensity with each character. So when it reaches Zhao Tao's segment, the drama has expanded and accumulated in such a way that wuxia form begins to inhabit. At the same time it's set in a mountainous region where you tend to associate with wuxia imagery. So it was shot with thorough aesthetic consideration. The English title A Touch of Sin is obviously a play on old wuxia film A Touch of Zen by King Hu. And you have already answered many of the connections this film has with wuxia. Are there any other connections that I'm missing? There is one pertinent element, which is that I see King Hu films as political allegories. They portray individuals under duress in their surroundings and they need to fight back. So I find that these stories very much parallel the four stories I wanted to tell. Although times have changed, the connections between people have not necessarily changed so much. I found it interesting that of all your films, this one, based on true events have the most stranger than fiction quality to it. Yes. Although all the stories have their roots in the events that happened in the real world, when you consider the characters facing such extreme situations, perhaps the only way to depict this is through the imaginary. Since your scope of the films is getting bigger, do you ever think about making films outside China? Currently I am beholden to a project that have already taken six to seven years in preparation. It's set in China between 1800-1900, about the beginnings of modernization of China. I have another project that is set in 1950-60s about a Chinese journeyman traveling through the world- first China to Europe then Europe to South America. A Touch of Sin has been garnering critical acclaim since it won the Best Screenplay Award at this year's Cannes Film Fest. After TIFF and NYFF screenings, Kino Lober is rolling out the film in theaters on October 4 in New York. Jia will be on hand for the opening night screening Q & A. For tickets, please visit IFC Center website.